Located in the southeastern Santa Monica Mountains is the exclusive neighborhood of Hollywood Hills. Lying between the Laurel Canyon Blvd. to the west, Vermont Ave. to the east, Mulholland Dr. also known as Griffith Park, to the north, and Sunset Blvd. to the south, the Hollywood Hills has breathtaking views of the Los Angeles area below. 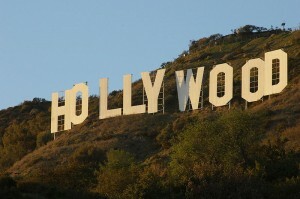 Due to it's exclusivity the Hollywood Hills is home to some the area's well known celebrities. Beachwood Canyon is a neighborhood of hilly, narrow streets that wind their way through the Hollywood Hills. It is found East of the 101 freeway and with the base at Franklin Avenue. The gate to the Village of Beachwood Canyon, home of the Beachwood Market, The Village Café and a small gift shop - Missouri Trader ,is located about a mile North of Franklin on Beachwood Drive. The market is notable for its glass front, designed by architect, John Lautner. Beachwood Canyon is full of homes built in the 20's -40's but also has a smattering of newer construction, particularly the condos lining Beachwood Canyon Blvd. south of the gates. Having lived in the area, I can attest to what a great place it is to walk. The winding streets bring vistas around many corners and the lovely trees provide shade on a warm sunny day. Regardless of the number of homes in the area, it still provides the sense of being out in nature. There is even a riding stable at 3400 N Beachwood should residents or visitors care to discover the area on horseback. If you are familiar with the area, you're also familiar with all of the signs posted saying "No Access to the Hollywood Sign". I'm surprised that tourists aren't hit by cars when the walk out into the middle of Beachwood Dr. to snap a photo of the famous sign. Interestingly, that sign was originally erected in upper Beachwood Canyon by Los Angeles Times publisher Harry Chandler and read "HOLLYWOODLAND" . It was actually a $21,000 billboard advertising the 500 acre upscale real estate development by the same name. Check out this page about Hollywoodland and its History. Created in the 1920's by the Hollywood Company the Hollywood Heights area was developed as a middle class compliment to the more affluent neighborhood of Lakewood. Set just far enough away from the noise and lights of Hollywood Blvd. the Hollywood Heights district takes pride in it's community and residents that enjoy all that the Hollywood Heights have to offer. Those that live in this community know what it takes to maintain their type of lifestyle and each year participate in a neighborhood shine event to continue the tradition of a well-kept and maintained community. Local businesses and vendors also participate by providing refreshments and lunches to the residents when the work is completed. The tight knit community of the Hollywood Heights honors it's members with 2 free tickets to the Hollywood Bowl with every new membership. Feel free to browse the area and see why so many have chosen to not only live here but protect their treasured community. Developed in the 1910's as an unincorporated part of the Los Angeles area the Laurel Canyon area is not a vital part of the Hollywood Hills. With homes following the hill line up to Mulholland Drive the residents are literally living in the Canyon. In Laurel Canyon there are many side roads that branch off the main canyon, but most of them are not through streets, reinforcing the self-contained nature of the neighborhood. Because of it's hidden nature Laurel Canyon can seem like you are far away from much of the hustle and bustle of the city when actually you are very close to it all. With the scenic nature of the canyon drowning out much of the city noise, Laural Canyon is a perfect spot for an elegant vacation or permanent residence. As a master planned development of single family homes the Mount Olympus neighborhood of the Hollywood Hills was founded in 1969 by developer Russ Vincent and houses many American Celebrities. Mount Olympus, sometimes known as Mt. Olympus, boarders the Hollywood Blvd, Laural Canyon Blvd. and Nicholas Canyon Road. The Mount Olympus Home Owners Association is deeply involved in the community and vows to keep a well-maintained and exclusive neighborhood. Beginning at Hollywood Blvd. and ending around the hills below Mulholland Drive is Nichols Canyon. This natural, spring fed creek and water fall offers visitors and residents breathtaking views of 100' falls and numerous natural and man-made pools and falls. This favorite spot is perfect not only for the wildlife that live so close to the city but for the trails and walk ways that wind through the canyon. Nichols Canyon is named after the first mayor to expand the city, John G Nichols as he was in office a couple of times between 1852 and 1859. Since then there have been many amazing stories to come out of Nichols Canyon and today many celebrities call this area their home. Home of the original 1920's luxury estates and residences Outpost Estates offers some of the most dramatic and historic architecture in the Hollywood Hills area. In the heart of Old Hollywood, Outpost Estates was one of the first neighborhoods to offer underground utilities and modern features that many communities have adopted today. The clean lines and rare construction of the area make for some award winning homes and featured historical spots around Hollywood. In the 1920's, Outpost Estates once had a sign similar to the Hollywoodland sign and still remains buried in the weeds. It was once the largest neon sign in the world and to this day the original foundation and electrical junction boxes have survived. Also located in Hollywood Hills on the area's east side is Hollywood Dell. Known as one of the original Hollywood Hills neighborhoods the Hollywood Dell is named for the hills that are just above the commercial and tourist popular Hollywood because residents and tourist alike must go "down into the dell" of the area. Because of it's close proximity to the Hollywood Bowl, many residents simply walk from their homes to events or visitors park in the local free parking areas around the dell. The homes have a heavy influence of Spanish Colonial architecture and many stars live in this area. Bordered by Laural Canyon on the easy and Sunset Plaza Drive on the west, the Sunset Hills is an exclusive neighborhood with sweeping view homes nestled into the hillside. The area contains some historical landmarks such as the Chateau Marmont Hotel and Frank Lloyd Wright's home on Hollywood Blvd. Homes in this area can start around the $3 million dollar range and go up as high as $10 million. Named after the "father of Hollywood" Hobart Johnsonte "HJ" Whitley, the Whitley Heights is currently registered on the National Register of Historic Places. With it's Mediterranean-style homes the village on this steep hillside about Hollywood Blvd. was one of the first celebrity communities in the Hollywood area. In the early 1990's the City of Los Angeles allowed Whitley Heights to install community gates turning the community into a private enclave. But in 1992 despite the $350,000 price tag already in place, a group called the Citizens against gated enclaves sued the association to prevent the closure of public roadways in Whitley Heights. The area is now open to all visitors and residents alike.